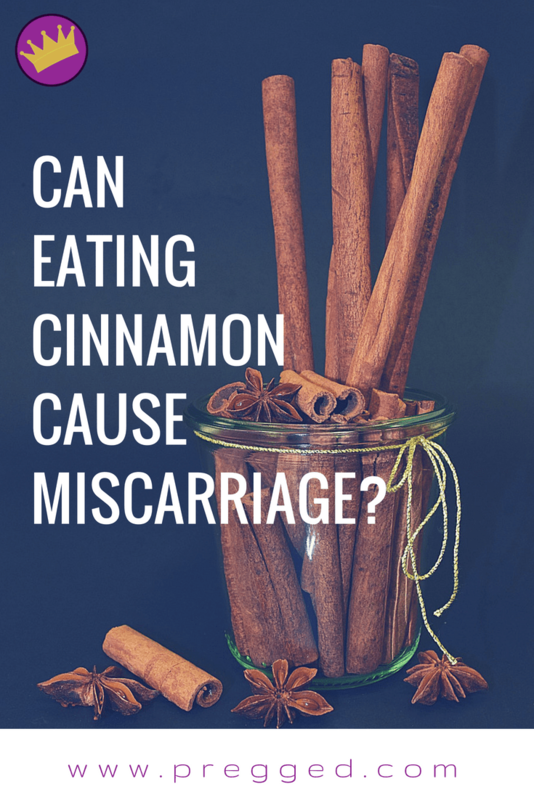 Home » Pregnancy » FAQ » Can Eating Cinnamon Cause Miscarriage? There are countless substances that have the rumored effect of bringing on a miscarriage and cinnamon is one of them. It has long been known that cinnamon contains powerful properties and studies have been carried out on the use of cinnamon for a range of health conditions such as diabetes and cancer. Unfortunately, no studies (that we could find) have been carried out which can confirm or deny that eating cinnamon can cause a miscarriage. The information available seems to point to the possibility that it could do when taken in large quantities, but there is no guide as to what would constitute a large quantity. Let’s take a look at the evidence for and against eating cinnamon during pregnancy and how much may be toxic so that you can make an informed decision about whether to cut it out of your diet completely or not. How Much Cinnamon is safe to eat when not pregnant? The answer to this depends on which type of cinnamon you’re planning to eat. There are two main types of cinnamon – cassia cinnamon and Ceylon cinnamon. 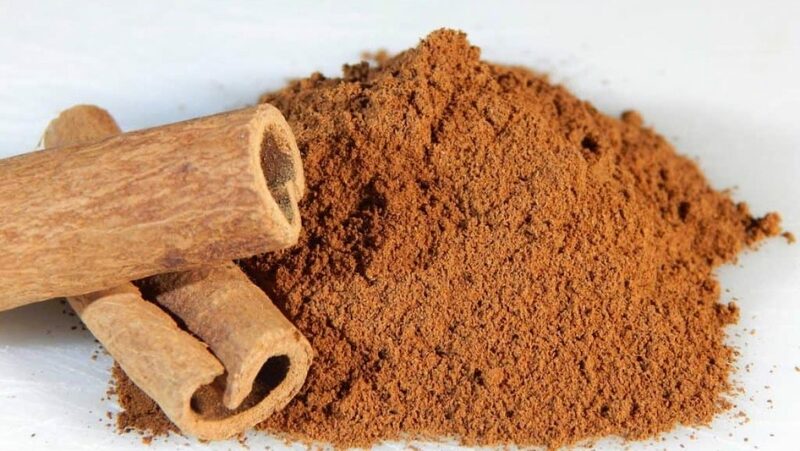 Cassia cinnamon contains much more of the active compound coumarin than the Ceylon variety and while it does have many health benefits, too much can cause problems. When you’re not pregnant the safe amount of cassia cinnamon you can eat seems to be 1-4 grams per day. Studies have shown that eating more than this can cause symptoms such as liver damage, increase the risk of certain cancers and cause breathing problems. That doesn’t tell us much about how much cinnamon is safe to eat in pregnancy though. We don’t know if the placenta filters out any potentially toxic compounds found in cinnamon and we also don’t know how much a growing fetus can tolerate. What we do know is that the fetus’ ability to remove toxic compounds from its system is limited. So Is Cinnamon Dangerous During Pregnancy? Information is scanty and there doesn’t seem to be a clear cut answer to this. Most of the big medical websites such as the Mayo clinic or NHS England don’t tell us to avoid cinnamon when pregnant, while WebMD tells us not to eat it when pregnant or breastfeeding. So there’s conflicting information out there. This information for obstetricians on the effects of herbal medicinal products during pregnancy lists cassia cinnamon as possessing emmenagogue and abortifacient effects. What that means in plain English is that it stimulates or increases blood flow during menstruation (emmenagogue) and can cause spontaneous miscarriage (abortifacient). But there’s little information about the studies that led to that conclusion, nor how much cassia cinnamon would have to be ingested for those effects to occur. Are Cinnamon and Pregnancy Completely Incompatible? Our advice would be to read up on the information available and make your own decision. If you want to err on the side of caution, (which is never a bad route to take when pregnant), then yes cut out cinnamon for now. Saying that it seems reasonable to assume that a small amount of cinnamon now and again is unlikely to cause problems. When we say ‘small’ we mean any seasoning that might be lightly sprinkled on a dessert or in cookies for instance. Cinnamon is used in many different worldwide cuisines and so would be hard to completely avoid. It should be fine to eat foods which contain a small amount of cinnamon seasoning, such as the amounts found in Thai or Indian food. What you certainly shouldn’t be doing is eating anything which is heavily cinnamon laden on a daily basis or any supplements containing the spice. Eating larger amounts of cinnamon regularly could definitely be risky. As already mentioned there aren’t any studies available on eating high amounts of cinnamon in pregnancy but we do know that essential cinnamon oil is a definite no-no because it can cause uterine contractions. It’s also worth mentioning that cinnamon is often found in herbal medicines and herbal teas so always check the ingredients and talk with your doctor or midwife if you are taking or planning to take these. Outside of pregnancy, cinnamon is a very healthy and useful spice to use and can be taken as a supplement. Ayurveda medicine recommends using cinnamon after birth to cleanse the uterus, but again, this is something you should talk to your doctor about first. The most sensible approach to cinnamon intake during pregnancy is to err on the side of caution. Don’t worry about eating small amounts now and again but avoid large amounts. You should definitely avoid taking any cinnamon supplementation whilst you’re pregnant and also avoid cinnamon essential oil and herbal teas or remedies containing cinnamon. If you’re at all worried about any types of foods you should be avoiding during pregnancy have a chat with your midwife or doctor. They are super clued up on all the do’s and don’ts and will be able to reassure you.